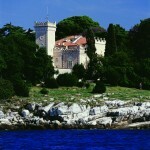 Isabella Castle Porec*** is located on a lush, green island of St. Nikola, only a few minutes boat ride from the old town of Poreč. 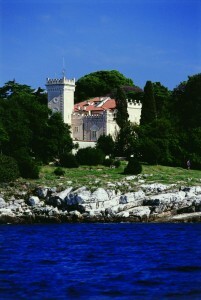 The castle, originally built for Italian nobility in the 19th century, is an ideal place for relaxing holiday. A few steps across the island there is the Fortuna Island Hotel where guests of the Isabella Castle can enjoy many amenities including an outdoor pool, organised daytime activities, the children’s mini club Maro and evening live music. 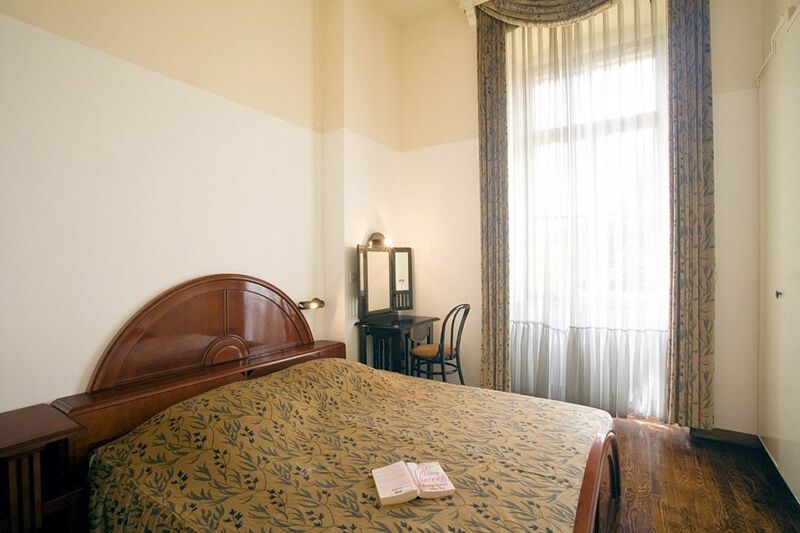 2 + 1 persons Suite ERATO, bedroom with French bed (160×200), 39m², up to 3 persons. 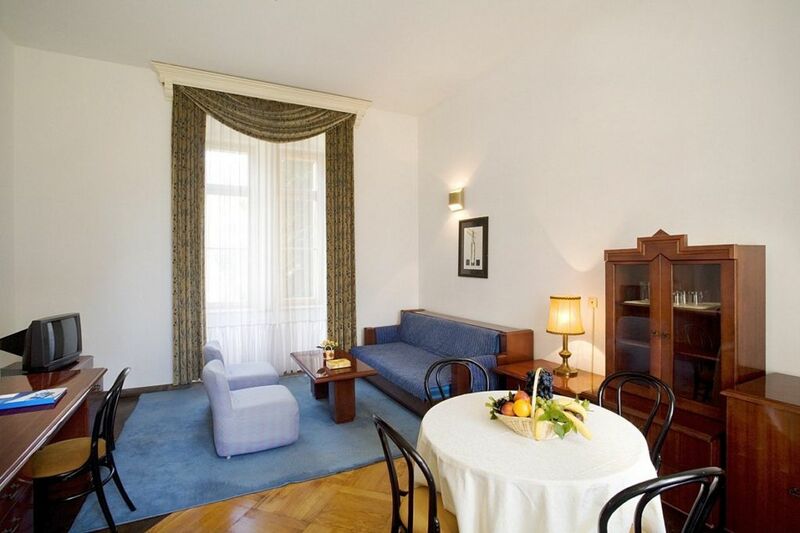 2+ 1 persons Suite HERA, 42m² , bedroom with two separate beds, up to 3 persons. 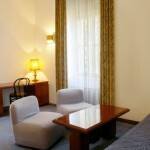 2 + 1 persons Suite DEMETRA, 45m², bedroom with two separate beds, up to 3 persons. 2 + 1 persons Suite AFRODITA, two floors, 40m² + balcony, double room with French bed (160×200), up to 3 persons. 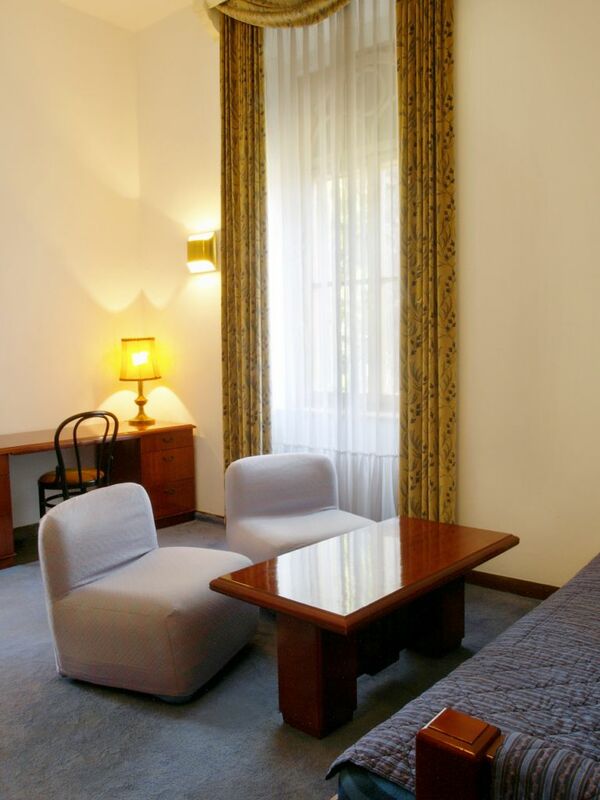 3 + 1 persons Suite NIKE, double room with French bed (160×200) + single bed (100×200), 50 m2, up to 4 persons. 3 + 1 persons Suite TALIA, double room with French bed(160×200)+single bed(100×200), 59m2, bathroom with bath+extra wc, up to 4 persons. 4 + 1 persons Suite KLIO, two bedrooms with four separate beds, 68m2, 2 bathrooms, up to 5 persons. 4 + 1 persons Suite KALIOPA, two bedrooms with four separate beds, living room + couch, 60 m2, 2 bathrooms, up to 5 persons. 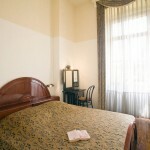 4 + 1 persons Suite ZEUS, two double rooms with double bed (180×200), 68m2, 2 bathrooms, up to 5 persons. 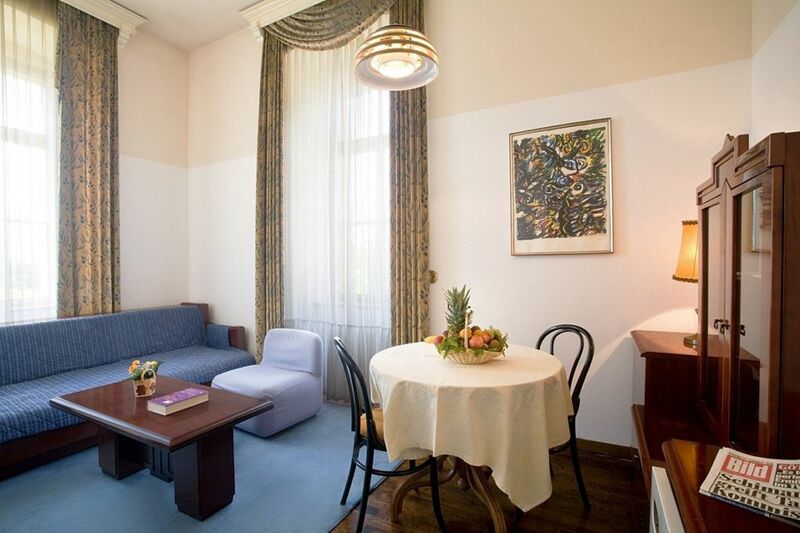 4 + 1 persons Suite ORFEJ, two double rooms with double bed (180×200), 59m2 + balcony, 2 bathrooms, up to 5 persons. Isabella Castle offers newspaper stand, supermarket, money exchange service, internet corner and excursions. 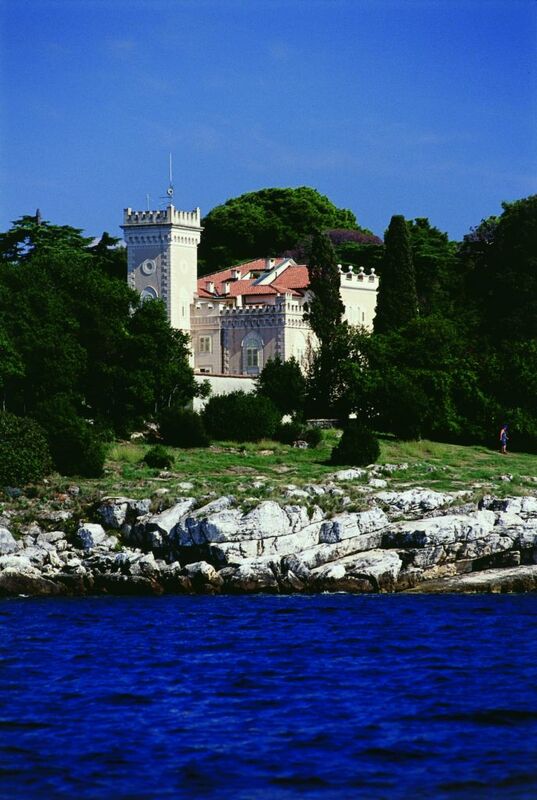 Guests of the Isabella Castle can enjoy the Blue Flag awarded rocky beaches in the vicinity of the Castle, some of them hidden in secret coves shaded by pine-scented woodland. Water sports are on offer for those seeking active pursuits. Guests of the Isabella Castle can also make use of the outdoor pool and children’s pool at the Fortuna Island Hotel nearby. Congress facilities are also available: meeting room with 30 seating places with all neccessary audio-visual support. There is a Fortuna Island hotel’s show-cooking restaurant with 320 seating places offering rich buffet breakfast and dinner, a wide-ranging selection of Mediterranean and international dishes with special Istrian and seafood-themed evenings throughout the week. The restaurant also meets the specific requirements of sports people, vegetarians and diabetics. There are also pool grill terrace, lobby bar, Oliva bistro and Riveta bistro. While the Isabella Castle may promise an oasis of tranquillity, those looking for entertainment and organised holiday activities will find the animation programme at the nearby Fortuna Island Hotel. The Animation and Entertainment program for adults includes daily sport activities; morning exercise, aqua aerobics, aerobics, and cycling tours. The mini club Mario is the focus of creative activities for children, with trained members of the team making sure junior guests have the holiday of a lifetime. The charm of Poreč can be reached with a little boat every 30 minutes.